During the 14th century Timbuctoo was a centre of rich culture and learning with a flourishing trade in salt, gold, ivory and slaves. Its legend grew and it was believed to be a city made of gold. From 1618 Europeans became fascinated with the potential of Timbuctoo and in the 1700s and 1800s explorers and traders attempted to reach Timbuctoo in search of wealth. Many had to abandon their exploration and many more did not return. One man, Robert Adams made it back to England after being rescued from three years of slavery in Africa and told his story to a disbelieving public. 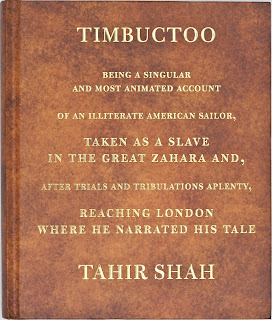 Tahir Shah’s book ‘Timbuctoo’ is based on the true story of Robert Adams set on the background of the Regency period in England. It is an enthralling tale told by a master storyteller who has painted his highly descriptive background like a tapestry; a tapestry of disparity with the rich and the poor, decadence and struggle, greed and philanthropy. Shah demonstrates is excellent erudition of the English language and uses his skills it to full effect. His descriptive prose is such that the tapestry is also painted with the sounds, sights and smells of the period. No small detail is missed yet Shah avoids being too wordy. The story of Robert Adams is interwoven with historical events, attitudes and figures of the time. So clearly has Shah written his story I never lost track of the many characters. My measure of a good historical novel is based on how it interests me in the period and events featured. 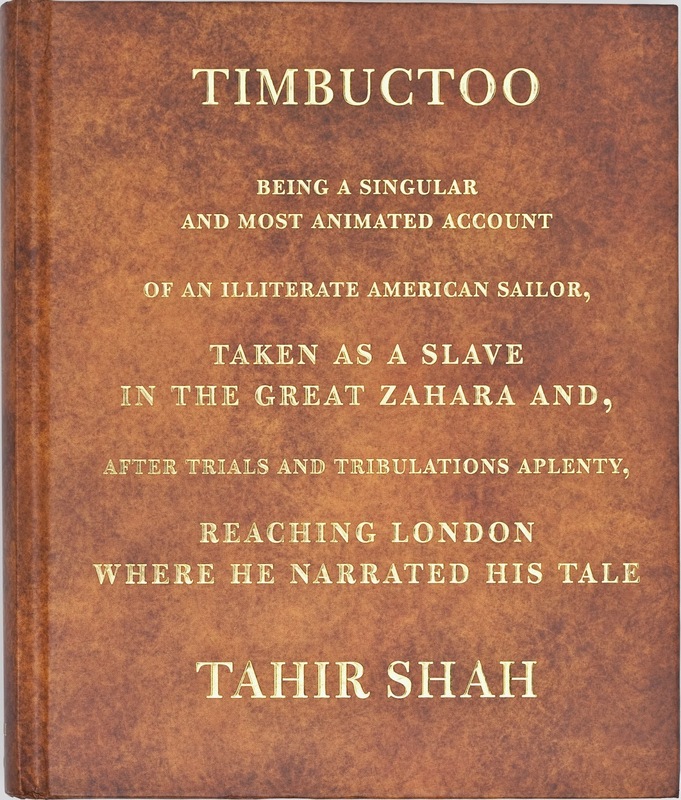 ‘Timbuctoo’ has certainly ignited in me great interest in the Regency period, exploration of Africa and the life and times of King George III. My only disappointment was that with the Kindle edition I was unable to study the maps included in the hardcover version.